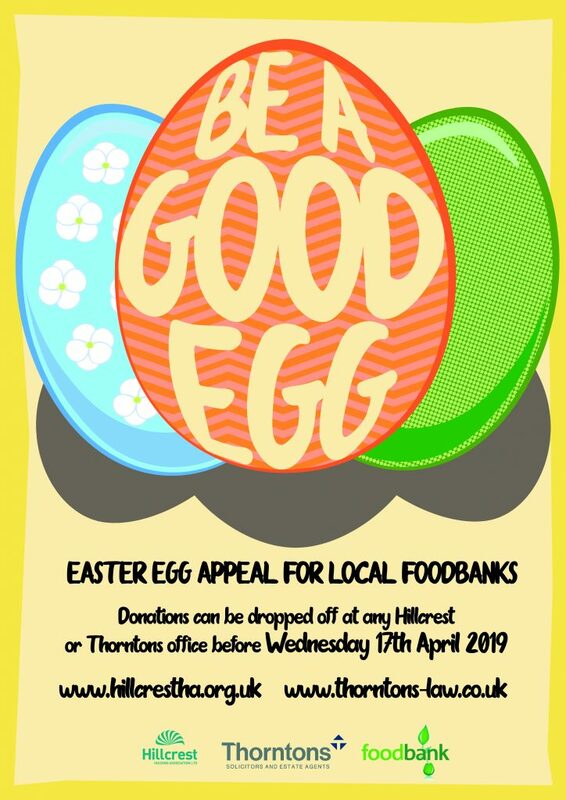 Staff at Hillcrest and Thorntons offices, as well as the general public are being invited to be a ‘good egg’ this Easter and donate chocolate eggs to struggling families. The joint initiative between Hillcrest and Thorntons Solicitors and Estate Agents aims to invite donations of Easter eggs, which can be dropped off at any of their offices. The chocolate treats will then be distributed to struggling families via local foodbanks.